We are highly indulged in offering valued clients Hydraulic Double Die Machine, which is capable for production without any negotiation with quality. The obtainable product array is available in marketplace at very fair cost and delivered within committed time at customers end. Products offered are highly appreciated by clients for its quality like high functionality and precise designs. 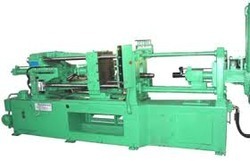 Established in the year 2000, Pune, Maharashtra, India, we, Technotek Industries, Pune are one of the trusted manufacturer and supplier of a quality range of Hydraulic Operated Press Machines, Hydraulic Operated Rubber Press Machine, Mechanically Operated Machines, Hydraulic Operated SPM Machines, Hydraulic Pipe Bending Machine and Hydraulic Press Machine etc..